I love Thanksgiving. It is such an uncomplicated holiday. Gather with loved ones, eat lots of delicious food, and give thanks. As I get older, the gatherings continue to evolve. I was so thrilled when I got married and we bought our home in Middletown that I finally had a place big enough to host Thanksgiving dinner. For years, my parents came here and I was honored to cook for them and serve them dinner in front of the warm fireplace in our dining room. They have been gone for quite a while, and those days are gone too. The same is true of so many of my friends. So we create our new traditions, and gather with loved ones in often less traditional ways. No matter how you celebrate this wonderful American holiday, giving thanks will be an integral part of it. 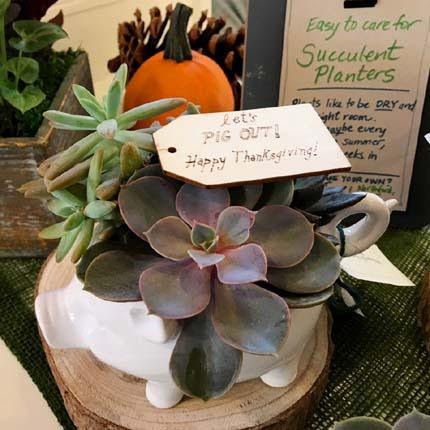 We add succulents to many of our arrangements. You can root them and grow them as houseplants after the holidays. “An attitude of gratitude” is a phrase taught to me by my dear friend Caroline. I attempt to make it my daily mantra. I have so much to be thankful for. I love my home and my beautiful yard. It is far from horticultural perfection, but it feeds a deep place in my soul. It also provides me with so much bounty- food to eat, fresh herbs and cut flowers, and greens galore (which I am harvesting every day at this time of year). It is the inspiration for my writings and my designs and the basis of my teaching work. I also am so grateful to my Natureworks staff. As I get older, they have begun to take on so much of the important work of Natureworks, freeing me up to be creative and teach as much as I can. Everyone tells me how wonderful my staff is. I already know it, and I am so proud of them. I filled my vintage canning jars with flowers and locally harvested greens. season- I call it The Real Deal. 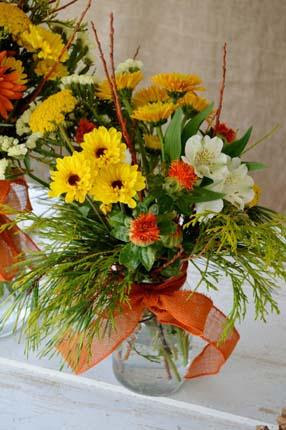 This week we are making all kinds of lovely arrangements for the Thanksgiving table and to bring as gifts. It is very personal- orange winterberries and golden evergreens cut from my yard, succulents propagated throughout the summer for our succulent pumpkins, strawflowers dried from my gardens, orange flame willow branches to complement the fresh flower bouquets in mason jars that I used to use for canning. Because Thursday is Thanksgiving, this week we are moving Facebook Live to Wednesdayafternoon at 4 pm. Jillian and I will teach you what it means to create a custom wreath or swag- the Natureworks way. Tune in and ask questions or, if you are too busy cooking, tune in later. All of our Facebook Live Videos are archived on the Natureworks Facebook Page. A fun and creative hostess gift. It makes perfect sense, since at this season we are all about fresh greenery! It arrives every day, including truckloads harvested from my yard and other local sources. Once the greens get here, they are carefully cut, bunched, and then dipped in WiltPruf, and laid out on benches behind the fence to dry. Only then are they put out on our retail benches. This extra step is so worth it. We are deep in the heart of decorating wreaths, making swags, and our signature all-natural cemetery pots and grave pillows. We are thrilled to announce that we have purchased a roping machine and all of our roping is now handmadeby my staff. Wait until you see it! Consider using our roping for your mantle, as a tablescape runner, hang it from your chandelier, drape it on your stairway bannister, and wrap it around your lamppost. Of course you will want to rope your front door too! On GREEN FRIDAY every customer will be given a $5 gift card (good towards any purchase of $20 or more). So sleep in, have a leisurely breakfast of leftover pie, and then come to Natureworks to shop. The first shipment of our CT grown, fresh cut Christmas trees will be here for the weekend. We are so excited! Fraser firs are the “Cadillac” of trees- deep, dark green, with excellent needle retention. Put your tree up early this year and prolong the magic. Don’t forget to check out the special collection of ornaments that my staff has been unpacking and hanging for the past few weeks. They elicit ooh’s and ah’s and squeals of delight on a daily basis. This Saturday is Small Business Saturday, a celebration of the local businesses (such as yours truly) that make up the fabric of our communities. I envision folks spending the day purposefullyvisiting their favorite small businesses that they love, enjoying the personal touch and carefully curated collections that each offers. We will be serving organic coffee and locally made, fresh donuts, now a tradition for this fun day. 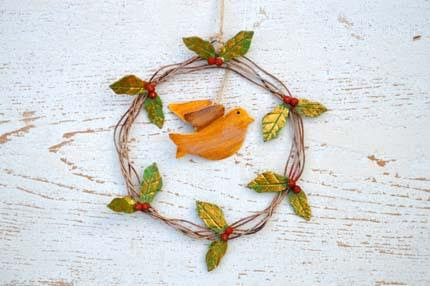 By Saturday, the outside of the shop will be completely transformed, brimming with our hand-decorated wreaths, swags, and porch pots made with our signature natural style. opportunity to sell locally made items. 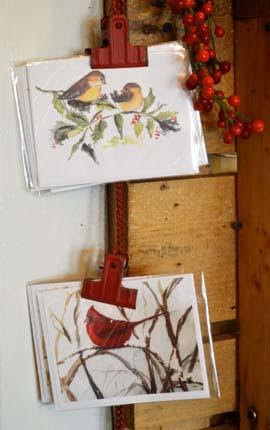 We have a line of beautiful boxed cards from local watercolor artist Jean Polka of Branford that include a painting of Natureworks! 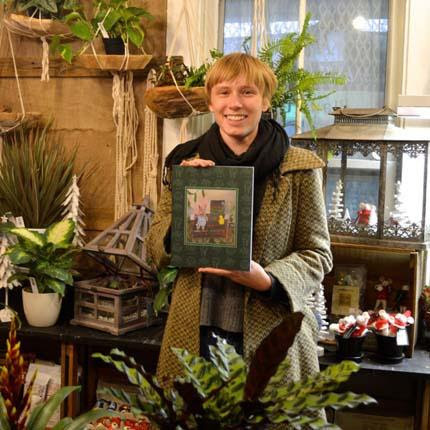 This weekend, we were graced with a visit from Allison Remy Hall, the author of Piggy and Plants. This delightful children’s book was written by the daughter of one of our customers. The illustrations are all paintings done by her boyfriend. She brought Piggy into Natureworks this summer and posed him in our gardens and throughout the nursery. We are thrilled that we finally have our hands on this book! Our own Jaime Vestergaard (head of our landscape installation crew), along with former Natureworker Juan Goglia, have also just published a children’s book: The Adventures of Woody and Chuck. 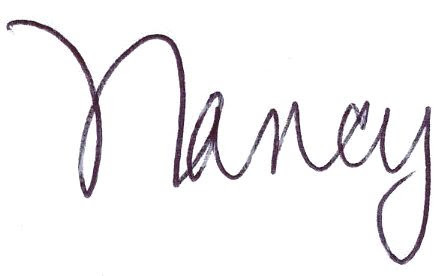 We are hoping to have a couple of booksignings in December- stay tuned. I keep an extra pair of Mole Hollow taper candles in a box in my pantry in case I need a last minute grab bag or host or hostess gift. They are dripless and made in New England. Another example of “keeping it local” are the dripless Mole Hollow Candlesthat we have sold for decades. They are made in nearby Massachusetts and they are the only taper candles I trust on my dining room table. We have boxes and boxes of them in harvest and Christmas colors. 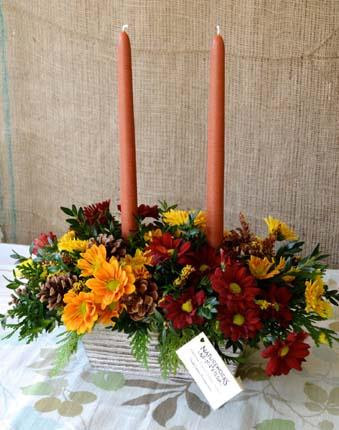 Yes, we are happy to include a pair of candles in your Thanksgiving centerpiece this week. Just ask! 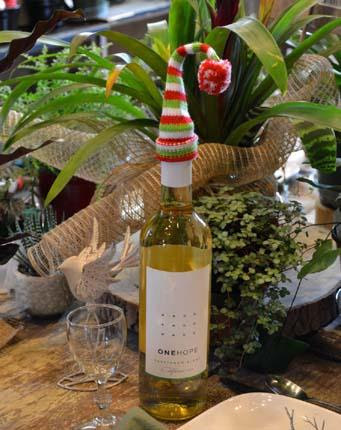 This wine bottle knitted cap is my favorite fun little gift this year! 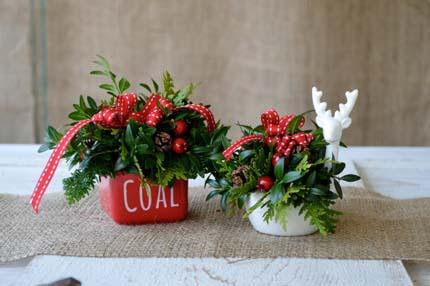 Our poinsettias are CT grown, as are our succulents. 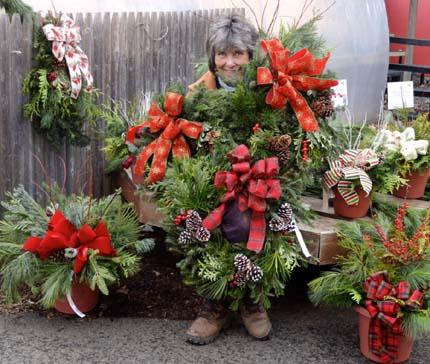 Our fraser fir wreaths are made by hand right here in CT. 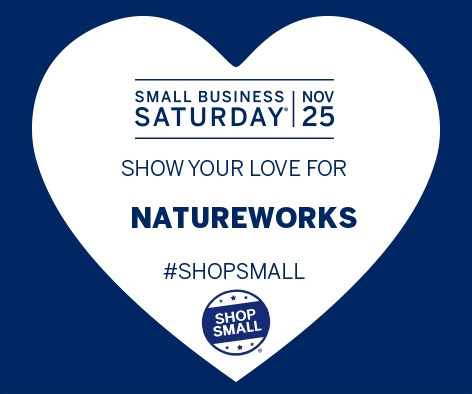 If you really contemplate the meaning of local and shopping small, you will realize that Natureworks is just one example of an owner-operated business that is making a difference in CT. We employ over 25 people and buy from local companies that employ hundreds more. We are helping to keep our local economy thriving and our community vibrant. Think of how many folks were influenced by the 1000+ monarch butterflies that we raised this summer! Also, with our promotion of organic practices and sustainable living, together we ARE making a difference. We are here and we are ready to welcome you to our 34th Natureworks Holiday Season. Enjoy your Thanksgiving celebration and be sure to make time to stop in and visit us.